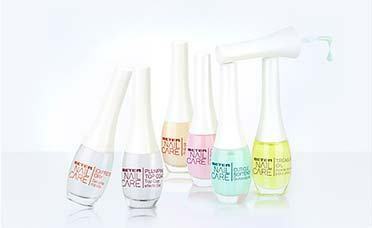 Semi permanent nail polish that cures under an LED lamp, to give you a polish that lasts for 2 - 3 weeks. 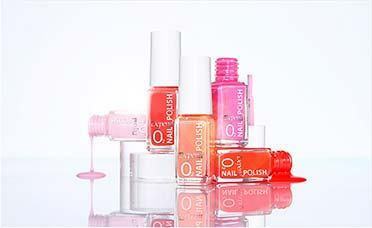 Gel nail polish effect that provide high-gloss and weightless feel. 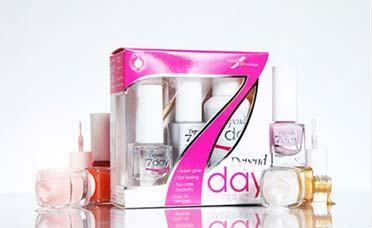 Depend 7day is a nail polish system for when you want a nail polish with super gloss, top-class durability and a “gel feeling”. This hybrid formula lasts for up to a week, is easy to apply and remove. 2 in 1 color and nail treatment. 7 Free. Rejuvenating nail polish. Protects from aging with each application. Rich in vitamin C, hyaluronic acid and photo reactive plankton that protects nails. It contains a UV filter. 5 Free Nail polish formulated to allow 30% more oxygen through to your nails than ordinary nail polish, which has a positive effect on the quality of your nails. Free from Toluene, Formaldehyde, DBP (Dibutyl phthalate). 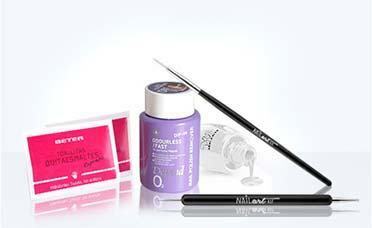 Create your own nail designs with the best nail polishes and tools for a innovative manicure.